By Lilana Keith, Advocacy Officer on Children’s Rights and Labour Rights at PICUM. A version of this article was first published in the Institute on Statelessness and Inclusion’s the World’s Stateless 2017 report. There are a growing number of children born as ‘undocumented migrants’ in Europe: born to undocumented parents in a region that favours jus sanguinis, rather than acquiring citizenship or a residence status based on birth in the country, they will usually inherit their parents’ ‘undocumented’ status. Children born abroad to undocumented parents as well as undocumented children who migrated with their families or by themselves and reside irregularly in Europe can find themselves at risk of statelessness due specifically to the circumstances which surround their undocumented status. While some of the risks arise from practical challenges associated with an irregular migration or residence status, many are due to systematic discrimination in civil registration and nationality procedures for those who are undocumented across Europe. This discrimination exposes children to further discrimination, poverty and human rights abuses. Migrant children are little considered in either migration or public policies. While there is increasing recognition of the need for additional protections for certain categories of migrant children, child rights are not yet adequately visible and integrated into migration law, policy or practice. As a result, children can rarely access protection and justice in migration and asylum procedures; are more likely to become undocumented, or migrate irregularly and unsafely due to lack of alternatives; and are at risk of being subjected to punitive measures that violate their rights, including detention and deportation. At the same time, while migrant children are increasingly targeted in public social policies, undocumented children are usually not considered or are even specifically excluded – facing legal or administrative exclusion from essential services, including health care. Systematic discrimination against undocumented children is also seen in civil registration, including birth registration, as well as nationality laws, which can lead to increased risk of statelessness. Children in a migratory or displacement context face numerous barriers to accessing nationality (see Kanics and Gyulai). 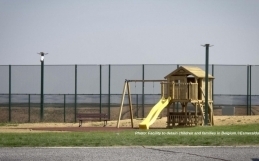 Undocumented migrant children can face particular risks. They may confront administrative barriers in civil registration and acquiring nationality, and be subject to practical challenges, resulting from living with an irregular residence status. This places them at heightened risk of statelessness. Children born in a migration context may be unable to get the nationality of parents at birth. This may be because their parents are unable to transmit their nationality, their parents are stateless, or there are additional requirements to jus sanguinis transmission that cannot be met. Several countries of origin of undocumented migrants in Europe still maintain discriminatory nationality legislation, e.g. gender discrimination and discrimination against children born out of wedlock. When acquisition of nationality is non-automatic, imposed conditions can become barriers for undocumented parents to transmit their nationality onto their child. At the same time, no country in Europe provides for automatic acquisition of citizenship for all children born in the territory. The additional requirements usually include regular residence of the parents, meaning children born to undocumented migrants are explicitly excluded. More troublingly, laws that provide nationality to a child born on the territory who would otherwise be stateless, as a safeguard against statelessness, often also specifically discriminate against children of undocumented migrants, excluding them from the status and protections that this can afford. There are 14 European countries that require regular residence status of the parent and/or child in the requirements for statelessness recognition under these provisions, in some cases even requiring a permanent residence status. Undocumented children also face discrimination in naturalisation procedures, as irregular residence is often discounted in naturalisation criteria. When it is counted, the number of years required to qualify can be higher, leaving children undocumented for longer. At the same time, there are few options for children to regularise their residence status in Europe. 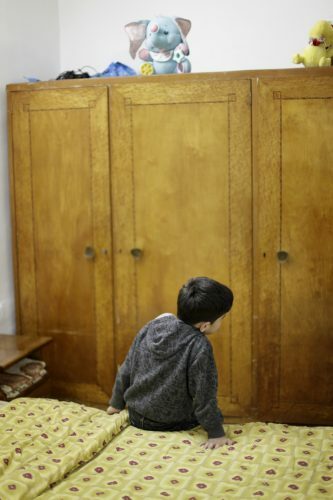 There are a number of important programmes and mechanisms aimed at resolving the status of undocumented children and their families, but in most of Europe regularisation is either unavailable or inaccessible. This is not to say that children may not have a right to reside in their country of residence, due, for example to their right to private and family life, but such rights are not catered for proactively through residence and nationality procedures. European countries also face a number of challenges to ensure birth registration for undocumented children in a migratory context. Only a few countries in Europe explicitly protect the right to birth registration for all children by law, regardless of the residence status. In most countries, it remains unclear whether policies on birth registration also apply if the children and/or parents are undocumented. References to ‘all children’ in policies and legislation may include undocumented children, but this often leads to practical barriers. Barriers can include risks of denunciation, lack of knowledge on the part of both civil servants and undocumented parents about rights and procedures for birth registration, and discretionary and discriminatory refusals. Rates of birth registration generally remain low in many countries of origin. Nevertheless, even when a child’s birth is registered, some countries only issue identity documents when children reach the age of majority. Also, in the context of irregular migration and/ or irregular residence in a country, even when children have identity documents or are included on their parents’ document, these may be lost or expire. Also, in many countries, birth certificates of one or both parents, and marriage certificates, are required. Such administrative requirements can pose challenges for many parents. For irregularly resident families, such paperwork can be particularly difficult to produce because, for example, the paperwork is in their country of origin or has been lost. Further, there may not be an institution able to issue copies in their country of residence (and they are unable to travel), or the costs might be prohibitive. This can lead to increased risks of statelessness among undocumented children. Furthermore, in countries where irregular residence has been made a criminal, rather than an administrative offence, there is usually a duty on civil servants to report undocumented migrants to the police, effectively negating their access to civil registration, including birth registration procedures. Restrictive policies on access to health care, including maternity services, can also affect birth registration for undocumented children, in countries where medical professionals are involved in the process. This can result, for example, in mothers giving birth at home, or birth registration being denied until the mother has paid for the maternity services provided. Birth registration procedures also pose several potential barriers. In some countries, the administrative procedures directly discriminate, making it necessary for parents to be registered residents, which is impossible for irregular migrants in most cases. As mentioned earlier, a passport with valid residence permit may also be requested by civil registries even when this is not official policy. Registration fees and fines for late registration also pose financial barriers, alongside indirect costs, such as time off work. For people living and working precariously, such barriers cannot be underestimated. Even when there is no connection between civil registration procedures and immigration enforcement, irregular migrants fear interacting with any state authority or public service provider, considering it may lead to arrest, detention, deportation and/or family separation if they are reported. There may also be social-cultural reasons that parents decide not to register their children, or low prioritisation of birth registration compared to meeting immediate needs for family survival, safety and well-being. The importance of closely monitoring the implications of any changes in procedural requirements for access to birth registration for undocumented migrants can be demonstrated with the example of Italy, a country that generally has minimal administrative requirements for birth registration. In most parts of the country, a birth can be registered without the parent having to show any identity document, on the basis of declared data, and sometimes testimonies. 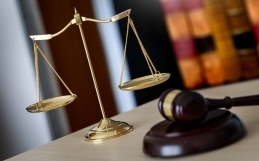 However, the legal framework in Italy is contradictory and complex. For example, in 2009, a change in the immigration law made it necessary for a residence permit to be shown to register a birth, which would create a real barrier for registration of children of undocumented parents. As a result of advocacy efforts, the Ministry of the Interior issued a circular the day before the law entered into force, removing this requirement and reaffirming that undocumented parents do have the right to register their children. There are an increasing number of children and young people who are growing up, spending most if not all of their lives in Europe, but with an irregular status. They can face particular difficulties as a result of their or their parents’ irregular residence status, in proving their nationality if they have one, and to acquiring the nationality of their parents or of their country of residence. Efforts to end child statelessness must take into consideration and address the specific risks facing children of undocumented migrants in order to be comprehensive and effective. Many of the challenges arise from systematic discrimination against irregular migrants both in civil registration procedures and in nationality laws, which must be urgently addressed to ensure fulfilment of these rights, as well as the numerous other rights which are violated when children’s right to protection by the state is not adequately documented. To address the risks of statelessness of this growing number of undocumented children in Europe, governments should implement a number of policy reforms. The right to birth registration regardless of the residence status of the child or parents, including a prohibition of refusal, should be explicit in national legislation. There should be minimal administrative requirements (e.g. accepting declared data; possible registration by a third party). Also, equal access to health services, including maternity care, should be provided. There must be a ‘firewall’: a clear separation of civil registration, services, protection and justice from immigration enforcement through a prohibition on personal data sharing in law and practice (including through issuing guidelines and providing training). Laws that criminalise irregular entry and residence should be revoked. Nationality laws that restrict transmission and acquisition of nationality should be reformed in view of ensuring every child’s right to nationality. In particular, there should be no discrimination in nationality (or statelessness determination) laws due to the irregular residence of the child or parent. 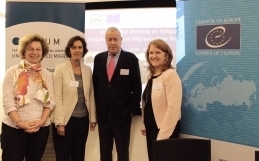 Governments should develop and implement accessible permanent mechanisms for children of undocumented migrants to regularise their status, on the basis of human rights and reasonable conditions. Finally, it is important to underline that as well as the real risks of becoming stateless, undocumented children often reside with similar limitations on rights as those faced by stateless children. Despite all children having equal rights, the states in which undocumented children reside often ignore or specifically restrict their rights in the name of immigration control. In their daily lives, undocumented children in many countries live without – or excluded from – state protection. As a result of the large numbers of migrants and refugees arriving to Europe, the population of undocumented children is likely to increase in the coming months and years, as some of those arriving do not apply for or receive protection, or are provided only with temporary protection, and as new families are formed. It is therefore all the more critical that the policy solutions developed now also pursue long-term solutions that improve the protection and inclusion of all children, regardless of their residence status.